What makes a diamond really beautiful? Beyond the colour and clarity, what catches our naked eye's attention and fascination is really the brilliance and sparkle of a diamond, commonly known as the light performance of a diamond. Cut is most important criteria in selecting a diamond to ensure a great light performance. Besides ensuring your diamond is graded Excellent in its Cut, Polish and Symmetry (Ideal Cut diamonds), it is as equally important to ensure your diamond has excellent cut proportions to ensure a good light performance. 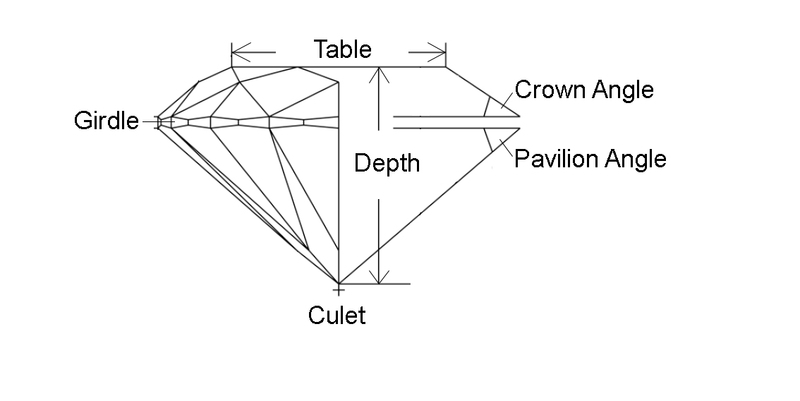 The cut proportions refer to the Table, Depth, Crown, Pavilion and Cutlet. When there is a superior combination of these 5 dimensions, a diamond is able to return maximum of the light to an observer. Fonder Diamond's Super Ideal Cut diamonds exhibit this superior quality - diamonds with flashes of rainbow colours dancing vividly and they shine brilliantly no matter how you view it. This is the reason our diamonds appear more dazzling than other diamonds of comparable quality. Fonder Diamond's Super Ideal Cut diamonds are not rebranded into Signature Cuts and thus you do not have to pay a premium for them. In fact, when you choose a Super Ideal Cut, the diamond will actually appear brighter than its original colour! This means you do not need to pay for a higher grade colour and clarity, thus enjoy cost savings. "My fiancée and I got my engagement ring at Fonder Diamond and we got a really beautiful diamond. They were very patient in educating us how to get the best diamond with our budget and carat size expectations. The Fonder Light Performance and complimentary Sarine Test were very useful in ensuring the diamond had great fire and sparkle. Tip: one can probably go down to a G Color, VS2 if the Fonder Light Performance and Sarine results are really good. This really helps in extracting maximum value out of your diamond budget. Instead of paying for a D-F diamond but smaller carat, I was able to get a bigger diamond with a G and the diamond still looks as sparkly as any D-F! All in all, a very satisfied customer thus far with no regrets." 2)	Select Diamonds with great Brilliance, Fire, Sparkle and Light Symmetry. A diamond's light performance is graded on 4 parameters: Brilliance, Sparkle, Fire and Symmetry. BRILLIANCE is also called Light Return the amount of white light that is returned to the table of the diamond. When a diamond has outstanding Brilliance qualities, powerful white light is emanated from the diamond, thus making it look brighter than its actual colour grade. FIRE is also known as Light Dispersion. It is the dispersion of white light into rainbow colours as the light bends through the diamond. The beauty of a diamond with Excellent Fire, is magical and mesmerizing to behold. SPARKLE refers to the flashes of white and coloured light that are visible as the diamond moves. A diamond with high Sparkle index will appear more alive with its dazzling display of white light and coloured flashes. LIGHT SYMMETRY is the measure of the distribution of light throughout the diamond determined by cuts and inclusions. A well-cut diamond features optimal proportions for equal light distribution. When you have a diamond that scores high in these 4 parameters, the diamond will look brighter, livelier and bigger than other diamonds of similar 4Cs grading. Fonder Light Performance is derived from a diamond's cut proportions and data from Fonder Diamond's vast diamond inventory. It allows you to differentiate between sparkly and dull diamonds, so you never have to pay for a dull diamond again! 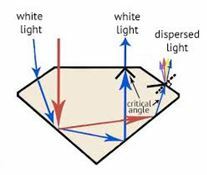 Once you shortlisted your diamond, you can confirm the light performance of your diamond through the Sarine Light Report. 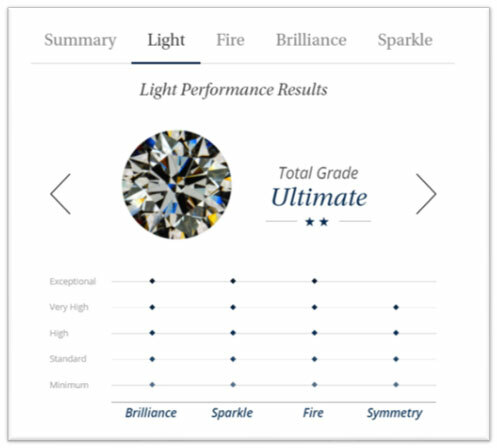 A Sarine Light Report is an accurate and high-tech grading system based on actual measured Light Performance parameters (Brilliance, Sparkle, Fire and Symmetry). Instead of using entry-level tools like ASET and IDEAL scopes where much understanding and interpretation of the scope images are needed, the Sarine Light Report uses advanced instruments and proprietary digital imaging analysis to measure and present the grading results to you in an easy-to-understand and systematic digital format. The Sarine Light Report presents test results in an easy-to-understand and systematic digital format. Sarine Technologies is the world's leading developer of technologies for the diamond industry. Founded by a group of passionate gemologists and technological innovators to establish the world's ﬁrst diamond technology company some thirty years ago, Sarine has since revolutionized the way that diamonds are planned, manufactured, graded, and sold. For over a generation, Sarine has developed and supplied breakthrough technologies covering the entire diamond pipeline. Sarine products are known and loved worldwide, used in leading diamond manufacturing plants, wholesalers offices, all main gem labs, and jewelry retail stores. The Sarine Light is a scientific-based standard and a direct measurement that takes all diamond characteristics into account. It is accurate and repeatable grading since the environment can be controlled. This means when you compare numerous diamonds, the results are consistent and nothing is left to subjective and ambiguous interpretation of results by layman. 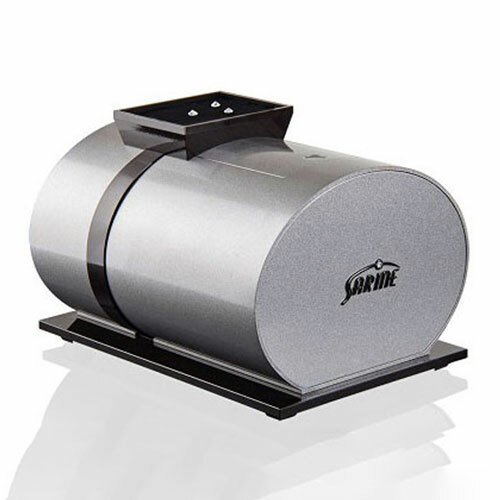 The Sarine Light delivers high precision and consistent light performance grading every single time. 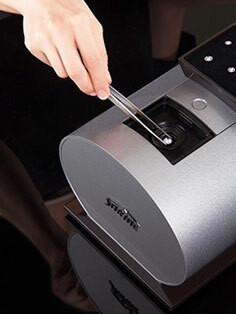 With advancement in technology, buying beautiful diamonds no longer have to be a daunting task. It can be as simple as 1-2-3, following the above tips. Want to know more? Book an appointment with our friendly consultants today! 1 ) What is a Super Ideal Cut diamond?